Engaging Island Women for Political Action is a three-year project funded by Status of Women Canada to address the under-representation of women in democratic institutions in PEI. The project will address barriers to women's inclusion in political parties by providing leadership training to 100 women and working directly with political parties to identify opportunities for women's advancement. The Organize to Lead Provincial Symposium was held May 24-26, 2018 at the University of Prince Edward Island. Participants had the opportunity to learn from current and former MLAs, political organizers, academics, and community organizers on the topic of women's political leadership. 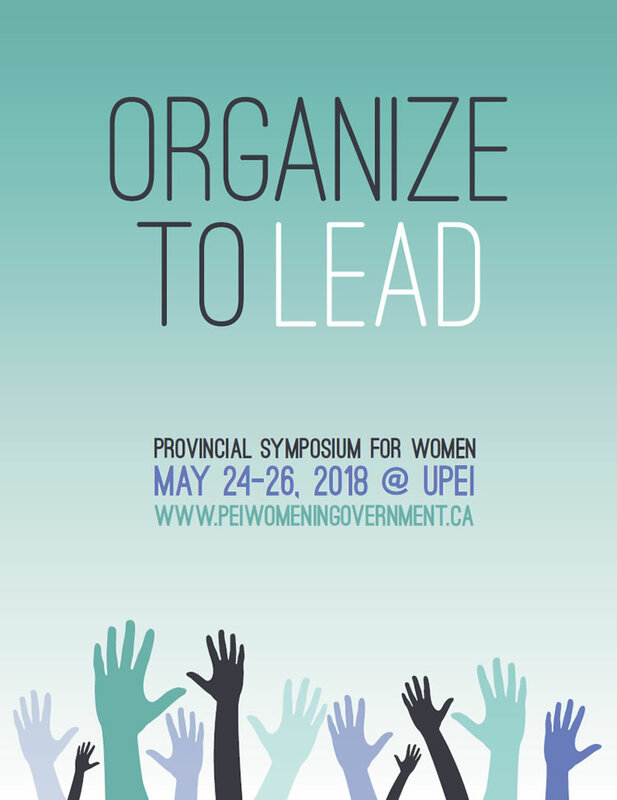 The provincial symposium agenda and sessions focused on workshops related to skills-building and transforming conditions for women in political domains. Beginning in April of 2017, a leadership development program for women will be offered over a two-year period with 5 cohorts of up to 10 women in each year. The program is designed to enhance and increase leadership skills and provide opportunities for participants to identify and realize personal goals within the democratic process, either as elected representatives or organizers. For more information, please visit Winding Path Inc.